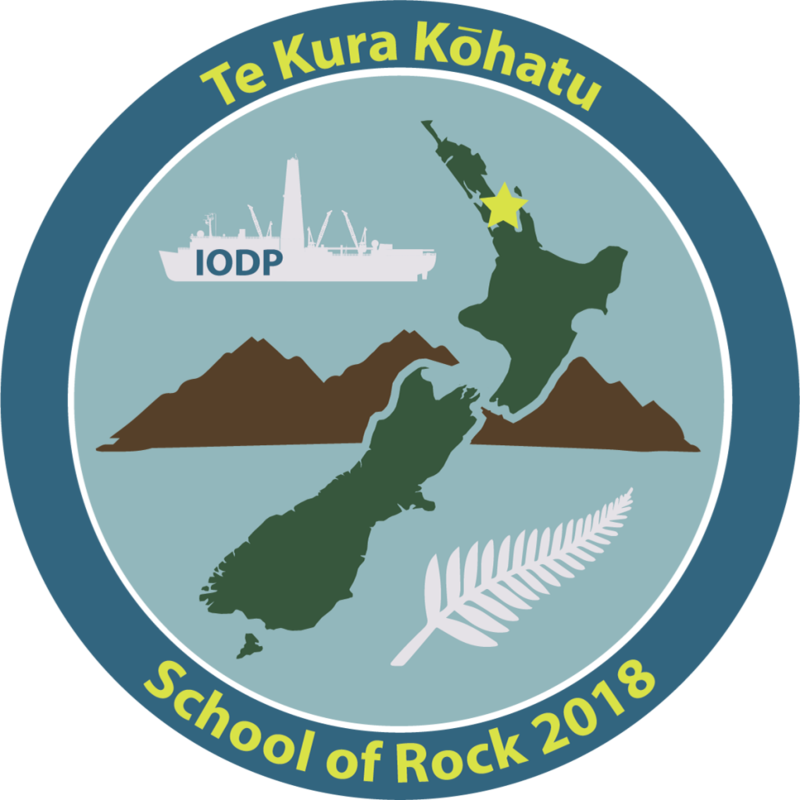 School of Rock 2018 is taking place in and around Auckland, New Zealand. This year’s School of Rock is being jointly organized by the United States Science Support Program (USSSP) and the Australia and New Zealand International Ocean Discovery Program Consortium (ANZIC). It will focus on Pacific Rim geology and the science research of the JOIDES Resolution. Field trips will explore the fascinating geological history of the Auckland region, including arc and intraplate volcanism (Rangitoto Volcano above), and deep sea sedimentary processes. During the first two days, the program is taking place on the JR during an Auckland Port Call before the ship transits to a scheduled maintenance period. Watch this space for updates from the workshop! CaT Bobino is a STEM Ambassador with a Master’s degree in Biology. With her work on various television stations and special programs, in the community, and throughout many speaking engagements, CaT Bobino is spreading the knowledge of Science, Technology, Engineering, and Math. Ms. Bobino has been featured on the show Genius with Stephen Hawking. She has also written, directed, and stared in programs for KQED. Currently, Ms. Bobino produces a weekly show where she interviews diverse people in STEM as a way of showcasing the different opportunities that are out there for students. She has also organized trips to various STEM centers, has been a guest speaker for numerous organizations, and is the author of In The Know: Setting Up Your Child For A STEM Career. 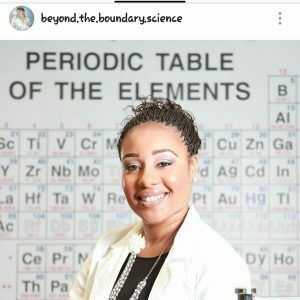 She is a biologist, teacher, speaker, host, and is also currently on the board for Self e-STEM, a nonprofit that focuses on encouraging young girls of color to learn about and pursue education in STEM. With a background in science, CaT Bobino also helps with creating and implementing science programs and opportunities for Bay Area youth. CaT Bobino is diversifying and demystifying STEM. CaT Bobino is diversifying and demystifying STEM through her consulting business, In The Know Consulting, LLC. In The Know Consulting offers presentations to parents, teachers, and students on the importance of a STEM education as well as identifying key players within these fields. Each presentation leaves the audience with inquiries about STEM as well as a better understanding of Next Generation Science Standards (NGSS) that schools must implement. She also promotes awareness, provides networking opportunities, and utilizes media to engage everyday people into the lives of STEM professionals. With experience in K-12 and undergraduate education, networking, mentoring, and media, In The Know Consulting is providing materials that are leading our next generation into the STEM world. 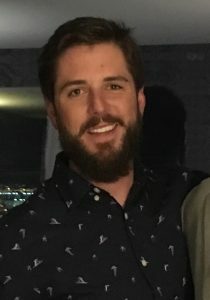 Judah Epstein is Adjunct Geology Faculty at Brookhaven College teaching Physical Geology and planning additional courses such as Field Methods and Independent Research. His goal in teaching geology is to share interest in earth sciences and scientific field expeditions; inspiring students towards pursuit of STEM endeavors and knowledge of their outdoor world in which they live. Judah also recently worked as General Field Engineer, Wireline Special Services Engineer with Schlumberger. In this position he worked throughout North America focusing on well Completions and Production through horizontal well technologies of wireline geologic well logging, borehole seismic, and perforating explosives. Previously Judah was with Welltec as Engineer In Charge managing wellsite field and workshop operations and working as Field Engineer for perforating, recovery, seismic, and geologic logging jobs for Drilling, Completions, and Production operations. And as International Field Engineer, Judah has worked throughout USA, Canada, Europe, offshore Equatorial Guinea, and Vankor in northern Siberia. Judah continues to utilize his geology and engineering knowledge as a Civil Engineer Officer in the US Air Force Reserve. Judah ventures on various expeditions such as water filtration and groundwater scientific research in Nepal, aqueduct and local Indian development in the Jungles of Panama, Uganda Torah Project, medic in Jerusalem and guide in Israel, TX State Guard and US Air Force military deployments, scuba dive fossil hunting, rockhounding, and multi-day Jungle Marathon 220+KM in the Amazon Jungle. 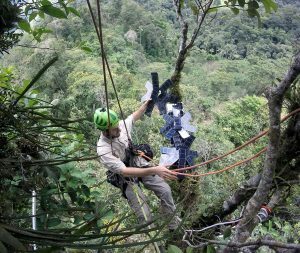 A few years ago Judah began involvement with rainforest and wildlife conservation through tree climbing; Borneo to teach technical tree climbing for conservation of Orangutans and Sun Bears, Arizona to conduct research on Gray Hawks via measuring and installing cameras at the nests, and Peruvian Amazon to install sensors in the canopy to counter illegal logging and poaching. Dieuwertje Kast is the STEM Programs Manager for the University of Southern California’s (USC) Joint Educational Project. Through her efforts, she has provided STEM instruction to over 23,000 underrepresented minority students, 600 educators, 20 school principals, and countless community members. She coordinates supplemental science lessons for K-5 across 6 schools through the Wonderkids and Young Scientists Programs. She teaches college prep science classes to high school students through USC’s Neighborhood Academic Initiative. Her education philosophy is focused on hands-on, inquiry-based and authentic STEM learning experiences. This passion for STEM education is reflected not only in her work but also with her science-themed wardrobe. She is a current doctoral student in Education, focusing on Teacher Education in Multicultural Societies in STEM at USC. She received her master’s in education and biology teaching credential from the USC Rossier. She received her BS in Biology and MS in Marine Environmental Biology in 2011 from USC. In 2016 she was the recipient of the prestigious Forbes 30 under 30 in Science and the 30 under 30 in Environmental Education from the North American Association for Environmental Education. 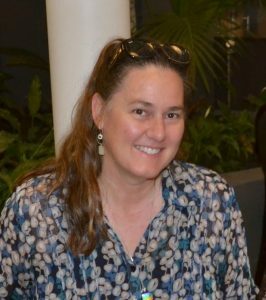 In 2017, she received the International STEM Education Association Mike Neden STEM Champion Award, and the National Association of Geoscience Teachers Outstanding Earth Science Teacher Award. She is actively involved with School of Rock, NOAA Teacher at Sea and NOAA Climate Stewards Education Program, Ocean Exploration Trust, National Marine Education Association and PolarTREC. Her mission is to level the playing field for underserved students in STEM. In the fall of 2018 I will be a senior at Montclair State University in New Jersey, working towards a Bachelor’s of Science in Earth and Environmental Science with a Secondary Education Teaching Certification. I have also been accepted into the Dual Degree/Dual Certification in Masters of Arts in Teaching Science and Teacher of Students with Disabilities. As an educator of Earth and Space Science, I want my students to understand how precious this planet is and how our decisions and human activity can impact this Earth. I want my future students to learn to make better educated decisions to help protect our planet. On the weekends I work as a Trail Steward at Breakneck Ridge in New York. In this position, in addition to being a first responder, I educate the public on topics including: local geology, basic outdoor navigation, hiking preparedness, and wilderness safety principles. Lauren Tepper has been teaching Earth Science to primarily Special Education students in Brooklyn, NY for five years. Prior to that, she had a dual career as an environmental scientist and educator, and a dancer/yoga instructor. Some highlights of her environmental career included studying puffin feeding/breeding ecology with the National Audubon Society on their Maine coast sanctuary islands, conducting aquatic habitat restoration and educational projects with Tip of the Mitt Watershed Council in northern Michigan, and leading educational snorkeling trips to the coral reefs near Big Pine Key, Florida with the Newfound Harbor Marine Institute. Kia ora! Hi, my name is Catherine and I live in Hastings, New Zealand. I have lived here for 4 years having emigrated from England in 2014. I have a BSc (Hons) in Environmental Studies and an MSc in Biological Recording, Data Collection and Management, and love learning. In England I worked as a Bat Ecologist and I have recently completed a Graduate Diploma in Secondary Education, with Biology and Geography. I would describe myself as a science magpie – I love collecting interesting artefacts and activities to inspire my future students (I have gathered a rather large rock collection whilst at the School of Rock and as a result have broken my bag!). Ross Stephen is a Secondary School Science teacher in Auckland, New Zealand. 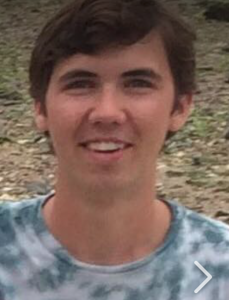 He is hoping to use what he learns on the School of Rock to improve field trips and classroom activities related to geosciences at his school. Bhavini Parbhoo is an enthusiastic and motivated teacher who strives to play a role in helping students develop a greater sense of self-understanding, self-esteem and self-reliance. The principal objective of her teaching philosophy is to provide various opportunities to engage students with new experiences and equip them with the tools that will allow them to test their understanding of information, ideas and concepts. She hopes to harness and strengthen their existing abilities and encourage new capabilities to emerge. 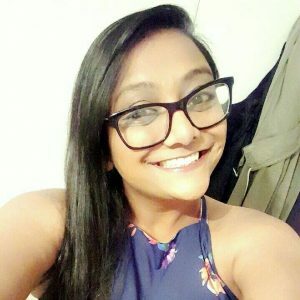 Bhavini is currently a Geography, Social Studies and Gateway (Vocational Pathway) teacher at Waitakere College based in West Auckland. 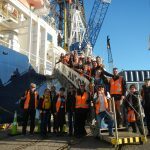 She aims to work collaboratively with other IODP School of Rock delegates and facilitators to introduce more geoscience-based learning in the West Auckland community. As part of the E-Learning team and Komiti Māori, she hopes to use the knowledge gained from Te Kura Kohatu to enhance the use of online research tools and boost the confidence of both teachers and learners when undertaking activities in the realm of geosciences. Bhavini aims to encourage the use of geosciences throughout the community and expose all ākonga to the various strata that make up Aotearoa. 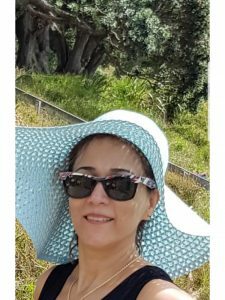 Maryam Shahsavar, New Zealand: Science and Chemistry teacher, HOD Chemistry Waitakere College. Originally from Iran. Founder of Crisp Cosmetics Compony ( natural skin care products). Married, mother two teenagers. 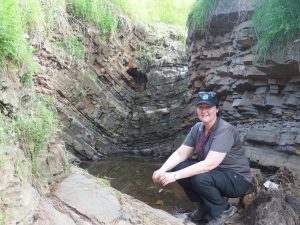 Melissa Murray has worked at the oldest museum in Australia, the Australian museum in Sydney, for 16 years in a variety of public programs, education and outreach programs as well as in geoscience collection areas. The Australian Museum is a natural history and indigenous culture museum with over 18 million collection items. Her current role is science communication and digital content producer. She has an Earth and environmental science degree and is currently doing her Masters of Geoscience at the University of NSW. Her masters research is based on increasing access to museum collections via digital modes and social media platforms as well as a focus on the conservation of geoscience collections. She volunteers at a remote access surf club developing and running junior surf program for children aged 5-14. She has a passion for Earth sciences and the information learnt through field trips with the JOIDES Resolution School of Rock program 2018 and activities she develops will assist museum educators to better engage earth science teachers in understanding & promoting the studies of earth science and understanding our dynamic pacific region. 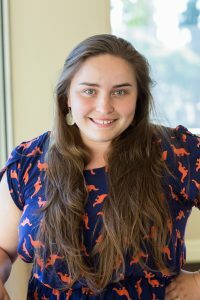 Sarah Lacey is a teacher at Swan Valley Anglican Community School, in Perth Western Australia; currently teaching lower school Science, upper school Human Biology and is also in the process of setting up the new STEM program. Previously, she completed a Bachelor of Science (Hons.) in Molecular Biology and Biomedical Science at Murdoch University in 2013. She then went on to complete a Graduate Diploma in Secondary Education at the University of Notre Dame Australia (2015). When not teaching Sarah enjoys open water swimming, aerial silks and watching Marvel movies with her fiancé. Fiona, an early career educator, in South Australia has been teaching at Murray Bridge High School (a regional public school) since January 2018. With more than 20 years as a practising Civil Engineer, she possesses broad and practical knowledge in her teaching areas – mathematics, science and STEM. She hopes to support young people to feel confident applying mathematics and scientific knowledge in their daily lives and perhaps inspire more students to pursue STEM related careers. 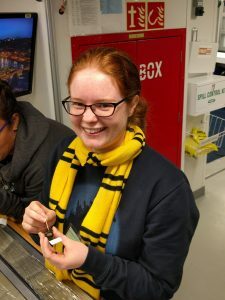 As a 2018 IODP School of Rock participant, Fiona is keen to discover ideas on how to bring the mathematics and science curriculum alive in her classroom and to expand her network with likeminded educators and professionals. Rangitoto Island - School of Rock Day 3! School of Rock Day 2!! First day of the 2018 School of Rock program.